Survey reveals that EU consumers are poised to act on legislation. "82 percent of European consumers plan to exercise their new rights to view, limit, or erase the information businesses collect about them." Pega's "GDPR: Show Me the Data"
Is your company ready to comply? With potential fines of 4 percent of company revenues for failure to respond to GDPR requests, many businesses are asking – how have consumers taken notice of their new rights? 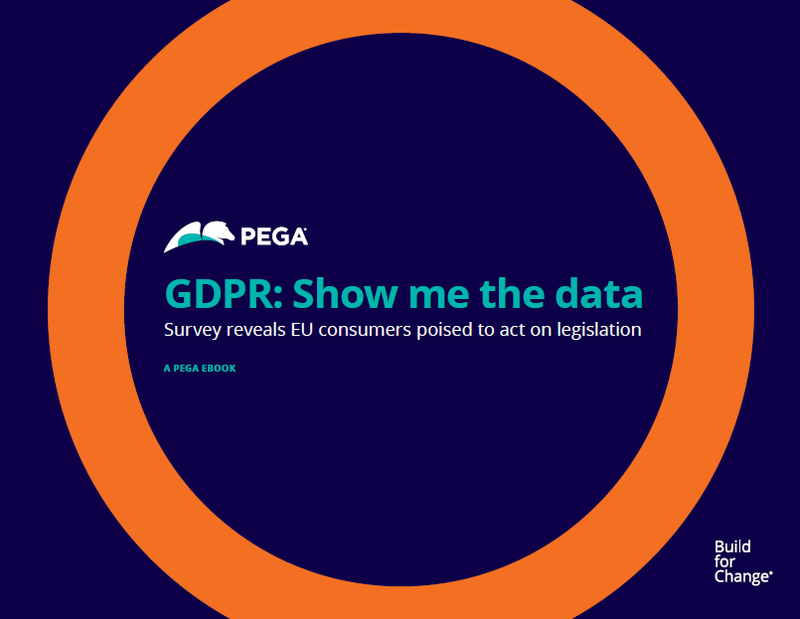 To answer this question, we at Pegasystems surveyed 7,000 consumers across seven European countries, to gauge their attitudes toward the legislation. The findings were eye-opening: From consumers’ awareness of GDPR to the data and rights they prize the most. The survey results serve as an important wake-up call for businesses still mulling over their readiness strategy. We summarized some of the most compelling findings. Why take risks when you don't have to? With the Pega T-Switch™ you can toggle the transparency levels of your AI and have full control over deployment. Use responsibly.